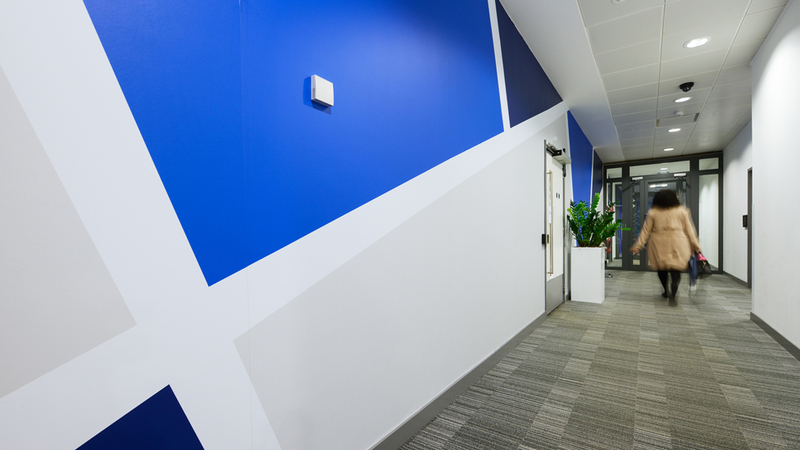 We delivered a striking internal office signage solution to inspire and energise employees. Gazprom – which holds the world’s largest natural gas reserves – places great importance in their staff, considering it its main value. Our client had chosen one of the prime and most exciting development locations in Manchester – First Street – to build their new offices, and had even hired office space around the new site so staff could see the new building come to life as work progressed. 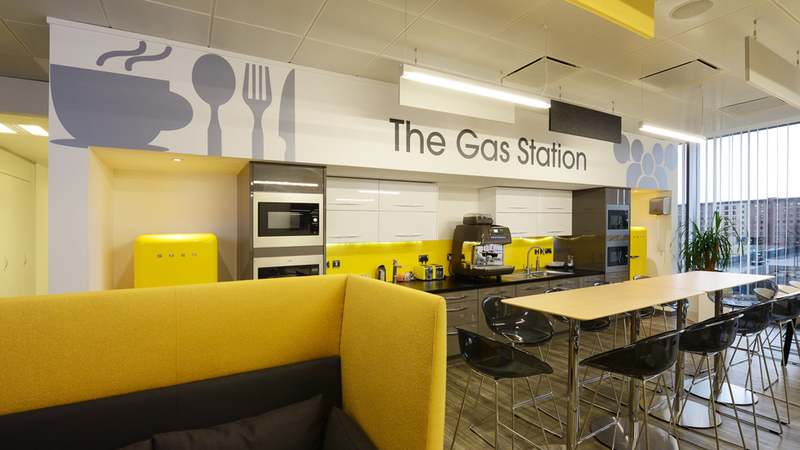 As part of their increased global presence, Gazprom came to us to help them turn a temporary office space into one where staff would feel at home straight away. 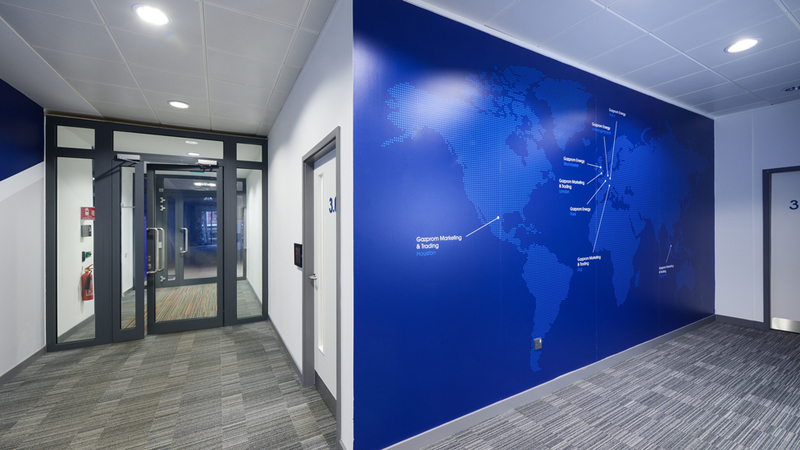 Internal signage played a major part in this project as it further reinforces that one of Gazprom’s priorities is to ensure that all staff are happy in their working environment. We designed and built signage to inspire. 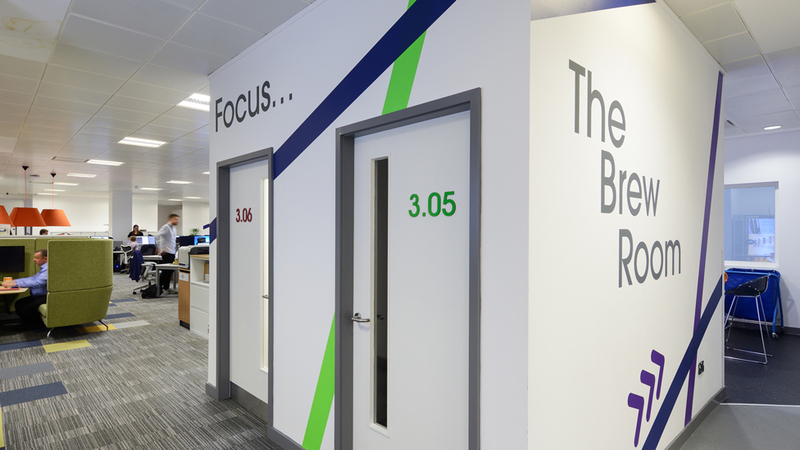 Integrating an existing stripe design pattern into the new signage, we applied their new red and green brand colours to lines in the reception area as well as the window graphics. The new brand flows throughout the working space. 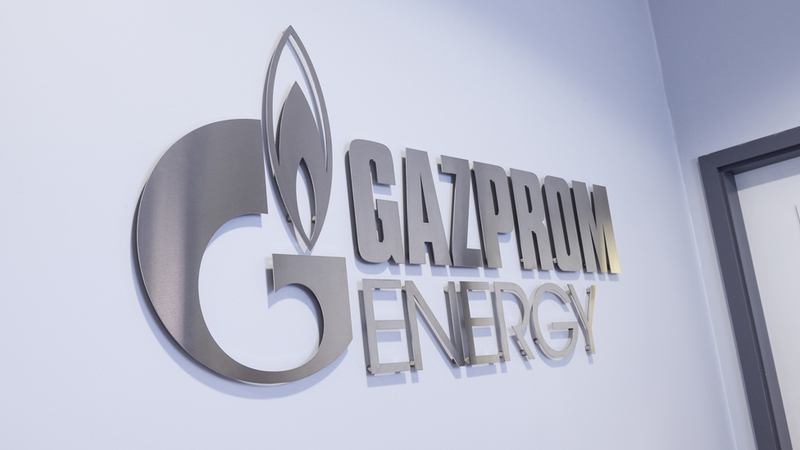 The project also included a flat cut stainless steel Gazprom logo for the reception area as well as the main meeting room, giving the temporary space a prestige feel. We turned around the new signage in only a few weeks, in readiness for everyone moving in at the start of the new year. 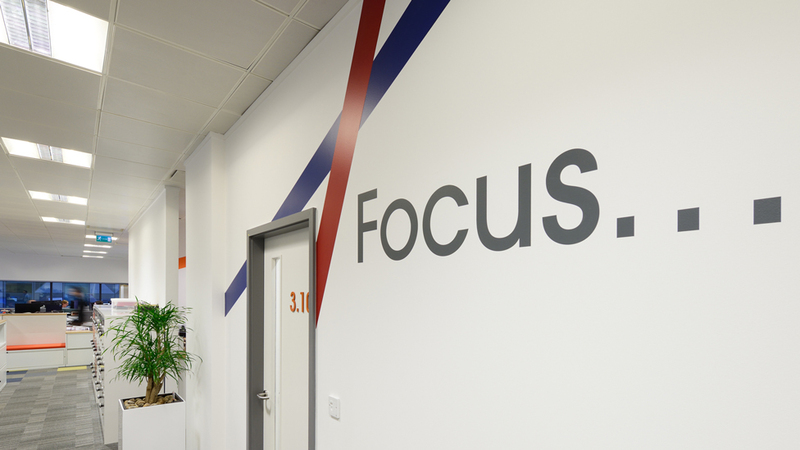 The signage design received great feedback, not only from our direct contact in the Marketing team, but also from everyone else in the office – a bright and inspiring office space. As the design agency chosen by Manchester Airports Group to improve the in-terminal passenger experience, we created a life-size retail graphic which guides passengers towards the departure lounge, tempting them to take advantage of the services and retail facilities available. As an award-winning experiential agency, we can do amazing things with a blank wall. To help AstraZeneca celebrate their past and inspire future generations of scientists, we developed this attractive corporate interior design to celebrate their achievements. Art Director Job in London.